Ester Industries Ltd manufactures thermoplastic polyester PET resins as well as PET based compounds and markets it under the brand name 'ESTOPLAST –MG'. 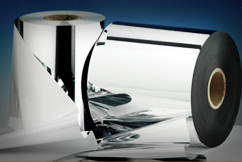 Thermoplastic Polyester PET resins and compounds are immensely strong and offer high-gloss finish to many products. Being the most commonly used thermoplastic polyester, Polyethylene terephthalate polyester (PETP) is often called just "polyester". These plastic resins are largely used across a range of product applications in various industries. Despite being a light-weight material, they offer exceptional dimensional stability over its counterparts and emerge as an ideal material for the replacement of die-cast metals and thermosets. At the outset, they offer a perfect combination of thermal, mechanical and chemical properties. Polyethylene terephthalate (PET) exists both as an amorphous (transparent) and a semi-crystalline (opaque and white) thermoplastic and can be easily made into a resin, fiber or film. The semi-crystalline PET bears excellent strength, ductility, stiffness and hardness while the amorphous PET is known for enhanced ductility.